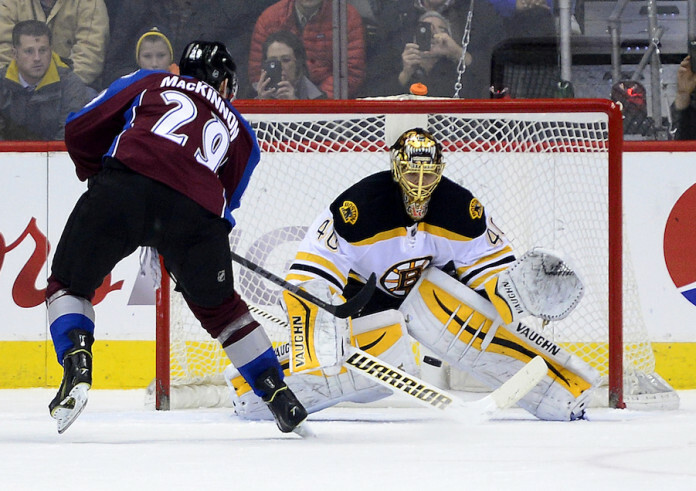 The Colorado Avalanche will play their third home game in a row tonight against the 0-3 Boston Bruins. The conversations around Pepsi Center were all concerning the difficulty of playing a team that has gone winless so far to start the season. Not only have the Bruins started off winless, but all three of those losses were at home. Normally, the third game of the season is not considered to be an important game, but, for both teams, this matchup tonight is just that. 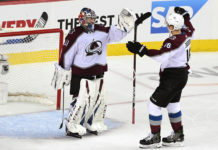 After losing a late lead against Minnesota, and then producing a come-from-behind win against Dallas, the Avalanche are still in need of a complete game. 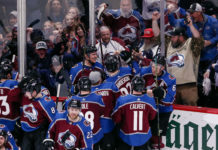 There are still questions surrounding what the team will be like this season, especially considering that we haven’t seen three consecutive periods where the Avs played a consistent game and created a certain identity. One thing that was consistent in the first two games for Colorado is the power play success. They have been successful in four of their six chances; meanwhile, Boston comes to Denver having been scored on three times in ten penalty kill attempts. 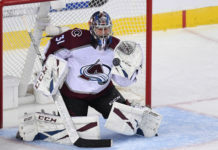 In net the Avalanche will be playing Semyon Varlamov, which comes as no surprise considering the three-day break between games. The Bruins will be going with their backup goaltender Jonas Gustavsson. Gustavsson was the backup goalie for the Detroit Redwings last year where he had a 2.56 GAA and a 91.1 save percentage. It seems peculiar that Boston play their backup in such a pivotal game, but Bruins coach Claude Julien claims that it was planned for a while for Gustavsson to play this game in Colorado. Only three games in to the Avalanche season and we are already discussing big, important games. The Avalanche will want to take advantage of both being at home where they went 23-15-3 last season, and the eight o’clock start, which for the Bruins will feel like a ten o’clock game. This game could really set the tone for Colorado’s upcoming road trip to California, where the Avalanche will face Anaheim this Friday, Oct. 16 and Los Angeles on the 18th.